Monitor your competitive landscape, collaborate with your team, develop and share competitive analysis from a single, centralized competitive intelligence tool to maintain your competitive advantage. Knowledge360® makes it easy to aggregate, visualize, and collaborate on information so you spend less time searching and more time making strategic decisions that keep you miles ahead of your competition. Aggregate and manage data and analysis from across your organization. Everything you need is at your fingertips. Create custom dashboard views and collaborate with your team in real-time to develop insights and competitive analysis. With our SaaS platform, you will always benefit from the latest updates and enhancements based on market intelligence. Subscribe, sit back and relax. Review valuable information minutes after implementation and receive ongoing alerts. Stay focused on the journey ahead and let Knowledge360® keep an eye on your market and competition. 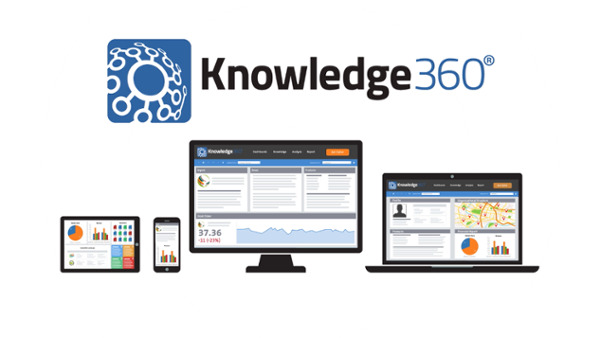 Knowledge360® is an all-in-one, cloud-based competitive intelligence tool that automates the collection and organization of market research, competitor information from a multitude of sources, allowing users to collaborate in real-time to develop actionable insights that provide a competitive advantage. Explore our free library of resources to learn how to use competitive intelligence to gain a competitive advantage.